Do you want to know how much life insurance you should own? The answer to this question varies from person to person, but generally speaking the amount required is between 6 and 10 times your annual income. Perhaps the best way to find out is to have a discussion with all the parties involved; your spouse or your business partner if you own a business. Let us suppose you are a married man and your wife does not work. You have a six year old daughter and a five year old son. You earn $150,000 per year. You would need $1,500,000 of life insurance, $150,000 x 10, to replace your income in the event of your death during the formative years of the children. Your standard of living should also be taken into consideration, so the amount required may be more, or less. Let us suppose, on the other hand, you are married, you have two young children, but your wife works. You earn $150,000 per year. The amount required may be considerably less. Let us say 6 times your annual income, $900,000. There are other complex calculations used to arrive at the amount of life insurance you should own but they more often than not come close to the above. A more simple method of calculating how much life insurance you should own is to figure out how much principal would be required to provide a given amount of income. Using the above example you need to replace $150,000 per year. If you can earn 10% on your money then you need $1,500,000 of life insurance. On the other hand if you can earn only 5% on your money safely then you need $3,000,000 of life insurance. This figure may be actually more than you need but when it comes to your family it is better to be safe than sorry. Don't you agree? Age 25-25 times annual income. Age 35-20 times annual income. Age 45-15 times annual income. Age 55-10 times annual income. Use this information as a guideline when buying life insurance. When considering how much life insurance you should buy an important consideration is the type of life insurance you buy. 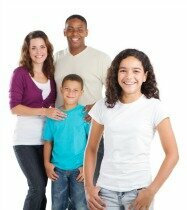 To cover most life insurance needs term life insurance is usually the choice of most people. The 20 year term policy or the 30 year term life insurance policy being the favorites. Let us look at how they work together with some of the available riders that you may add. We will also take a look at the whole life policy and some of it's advantages. When deciding how much life insurance to buy the 20 year term life insurance policy is one of the easiest to choose. It is one of the cheapest and you can keep it for 20 years which is considered by many to be a reasonable period of time to look ahead. If you get close to the end of the 20 year period...say about 15 years...and feel there is a need to keep your life insurance for a longer period of time you can always convert to a permanent policy even if you are not insurable. Some life insurance companies have limited periods in which a policy can be converted. To put it clearly even if you have a terminal illness you can convert the policy to a permanent policy as long as you convert within the allowable period. Your 20 year term policy's death benefit remains level for the entire 20 year period. The premiums are also level for the duration. If your need for life insurance is for a large policy the 20 year term policy may be the best one to buy. When deciding on how much life insurance to buy consider this policy. Although you may have to lay out more cash for the 30 year term life insurance policy when deciding how much life insurance to buy you may like this one more than the 20 year term life insurance policy. The premiums are not much higher than the 20 year term but you have an extra 10 years that you can keep your policy. You can also convert this later on to a permanent policy but this might not be necessary as you have a policy for all of 30 Years. This policy has a level face amount for the all of the 30 years. The premiums also remain level in most cases. This depends on the policy you choose and the company. There are people who have an intense dislike for the whole life insurance policy because they claim it is too expensive. The truth of that statement depends on what you want your life insurance policy to do for you. When you are trying to decide on how much life insurance you should buy and what type you should consider that the whole life policy does everything the term policies do and then some. The whole life policy has a level death benefit for as long as you want to keep the policy even if it is to age 100. The premiums are also level, they never increase. There is also something called guaranteed cash values on which dividends accrue. Dividends, however, are not guaranteed. If at any time in the future you should find yourself in need of cash you may take a loan from the "loan Value" of the policy. You do not need to even tell the insurance company why you need the money. You repay this loan in your own time and at your own pace. If you should die before the loan is repaid the the outstanding debt would be deducted from the face amount of the policy before the claim is paid. Another alternative you have if you need cash is to surrender the policy for it's cash value. For obvious reasons I would not recommend that you surrender your policy. There are two riders that you could add to any of the three above-mentioned policies. These are the waiver of premium rider and the accidental death benefit rider. Much thought should be given to adding the waiver of premium rider when making your decision on how much life insurance to buy and what type. The cost for this rider is so insignificant it is not even worth mentioning. Statistics show that people become disabled, for a short period of time, at least 5 times during their lifetime. If you add the waiver of premium benefit to your policy and you should become disabled for at least 6 months the life insurance company will pay your premiums for you for as long as you are disabled, even if it is for the rest of your life. If you should die in an accident, for example an automobile accident, the company will pay to your beneficiaries twice the death benefit. If you own $1,000,000 of life insurance and die in an accident the life insurance company will pay $2,000,000 to your family. When deciding on how much life insurance you should own these are some of the policies and riders you should look at.